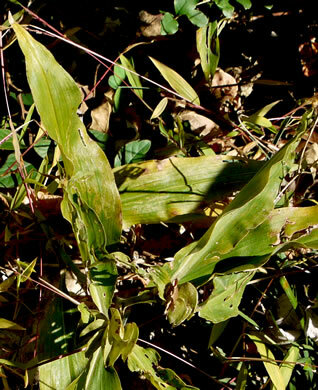 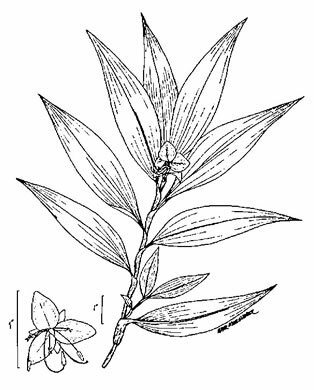 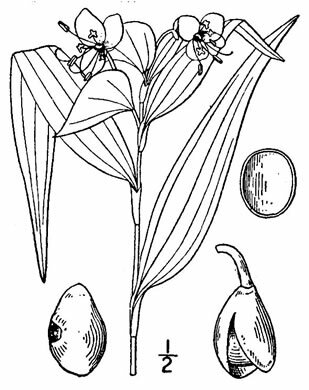 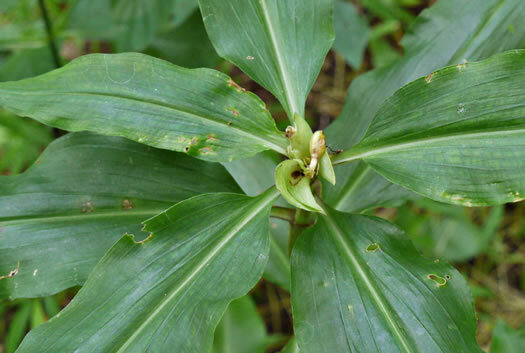 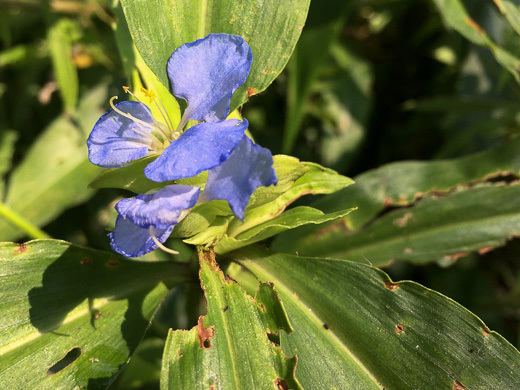 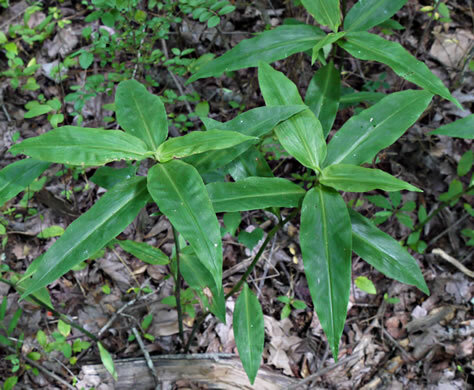 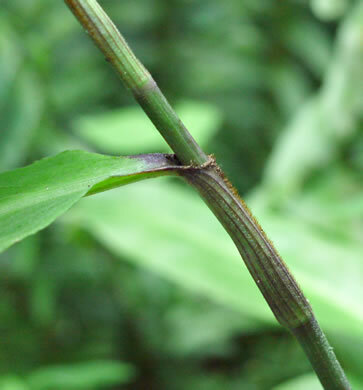 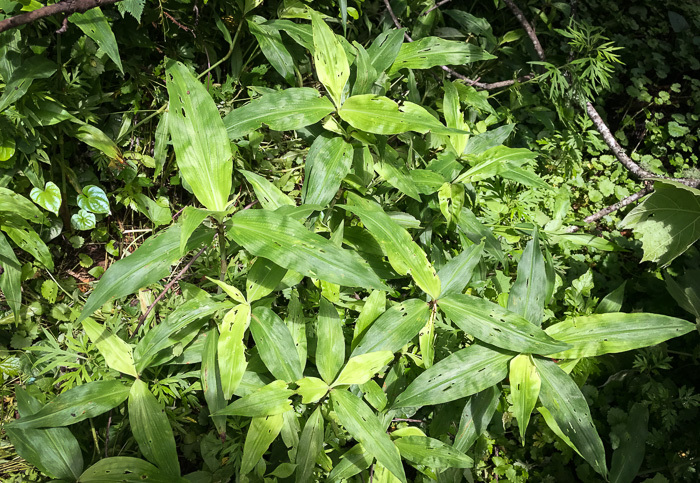 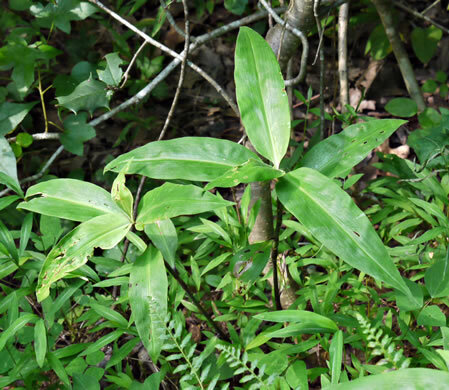 Leaves lanceolate, 4-8" long, 1-2" wide, leaf bases sheathing the stem, per Wildflowers of Tennessee, the Ohio Valley, and the Southern Appalachians. 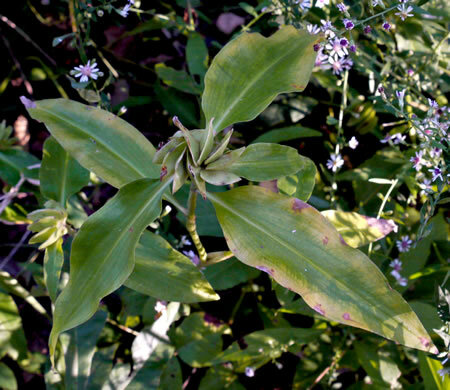 Sheath margins noticeably hairy with coarse reddish hairs, per Wildflowers of Tennessee, the Ohio Valley, and the Southern Appalachians. 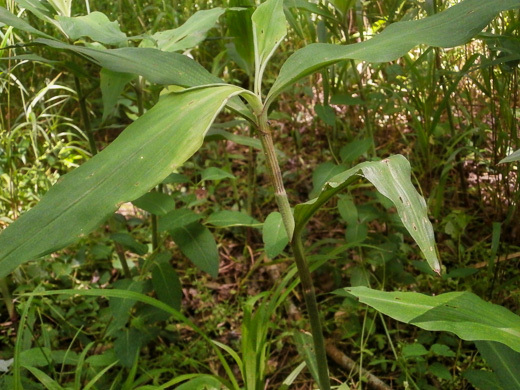 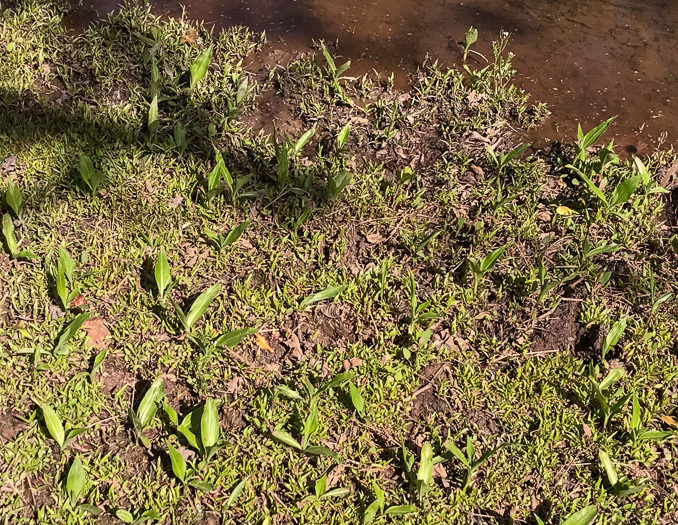 Coarse herbaceous perennial with erect stems 10-36" tall, per Guide to the Wildflowers of SC. 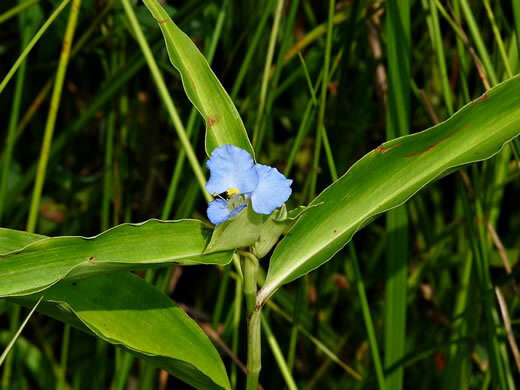 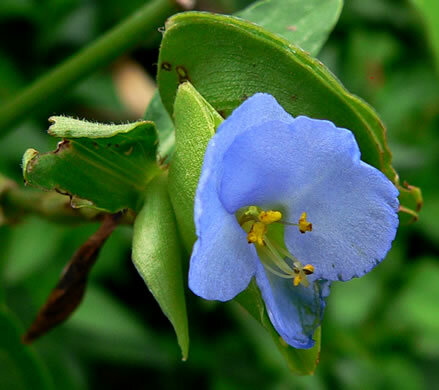 All petals blue, ephemeral, one slightly smaller than others, per Wildflowers of the Eastern United States.